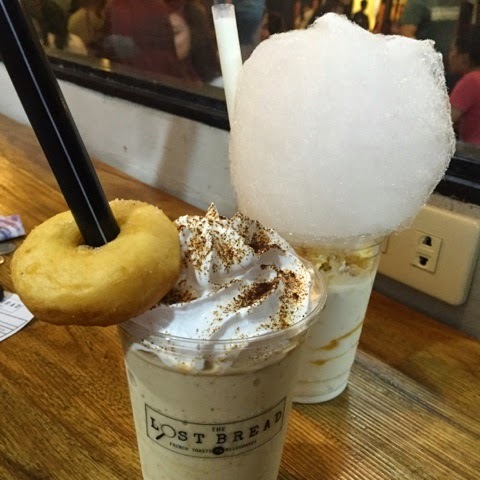 Lost Bread is located at StrEAT park, Maginhawa. It is a food spot with all other must try restos/cafes. I can still remember back 4 years ago when My friends and I used to invite people to Maginhawa and they did not know the place. And now, almost everyone goes North to eat at Maginhawa. So moving on to the afro looking milkshake. 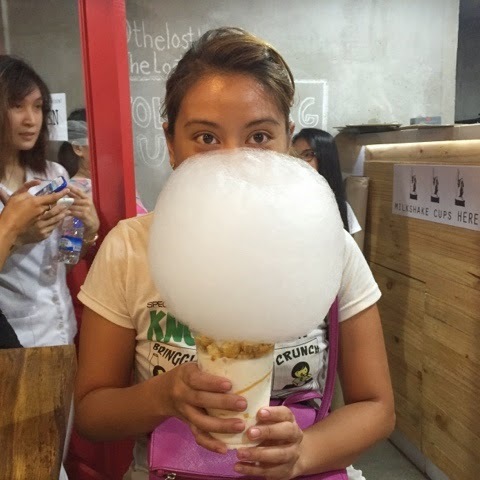 It is called the Carnival, It has bits of popcorn, pastillas, caramel, and all other sweet things. The Taste: it's not really that sweet. It's more of vanilla-ish taste with a tinge of caramel. We also ordered Doughfee. yeah its donut + coffee. Doughfee taste: coffee is more prominent in this blend, though you may still have the after taste of Original Glazed. The queing line here is surprisingly fast, almost everyone orders the carnival which is faster to make compare to milkshake with the likes of doughfee. They still have a lot of blends to try and taste. They even have spiked ones for the adults, but seems almost everybody is craving for that sweet taste. 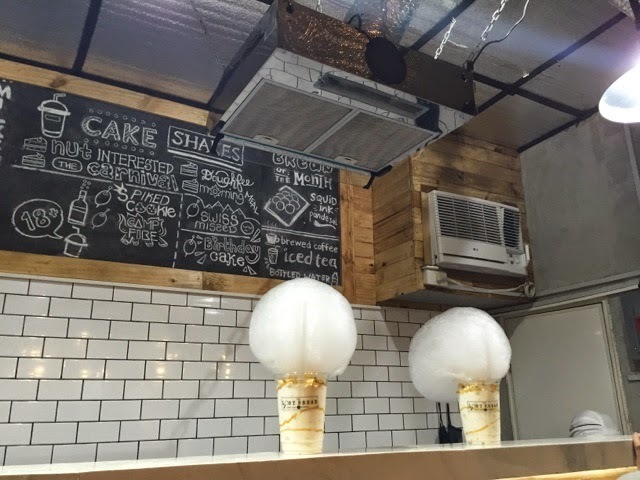 I'd love to do a Maginhawa Food Tour!